View our selection of historical outdoor lighting fixtures, classic garden lanterns and sconces, handmade vintage park lamp posts and more. We are a premium destination for exclusive European brands from Germany, Italy, Belgium and France like Schinkel, Robers, Bolich, Aldo Bernardi, Terraluce and Roger Pradier. For more information please contact us: info@terralumi.com. This classic light by French manufacturer Philippe Capelle is available with black or green gooseneck bracket, enameled shade and clear glass. 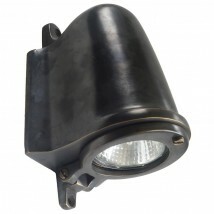 Small Wall Light 70 MB : These traditional lantern is manufactured of solid, anti-corrosion die-cast aluminium and powder-coated with black varnish, iron mica, verdigris, black copper, bronze or RAL colors. Classic Mediterranean barn lamp Valzer A3: a handcrafted, black-varnished iron sconce manufactured by Aldo Bernardi, Paderno Del Grappa/Italy. 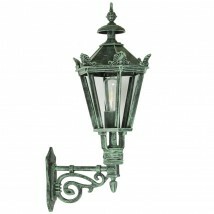 Historical Schinkel Post Light Rodos P 71: Berlin style garden light in three sizes. These traditional lanterns are manufactured of solid, anti-corrosion die-cast aluminium and powder-coated with black varnish, iron mica or RAL colors . Noble exterior pendant light Bordeaux GM: French handcrafted ceiling lantern made of brass or zinc in various finishes and four sizes. Classic Pedestal Light Elba 43: These traditional lantern is manufactured of solid, anti-corrosion die-cast aluminium and powder-coated with black varnish, iron mica, verdigris, black copper, golden bronze or RAL colors.The lantern is available in two different sizes. This small wall lamp for outdoor use with industrial-style shade and a straight bracket made from aluminum is available in ten colors and equipped with a ceramic lamp holder E27 to 32 W fluorescent bulb and clear or opal Makrolon glass. This nostalgic outdoor wall lantern made of aluminium and impact-resistant polycarbonate is available with the lantern directed upwards or downwards. 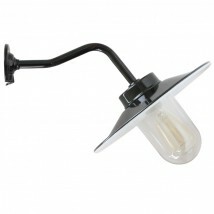 Classic Barn Lamp with symmetric (downward) light emission and clear or opal glass cover. This traditional lantern is manufactured of solid, anti-corrosion die-cast aluminium and powder-coated with black varnish, iron mica, verdigris, black copper, golden bronze or RAL colors. 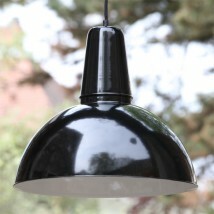 This historical, handmade pendant light is made of aluminium and available in six finishes. Historical Globe Lantern Rodos P 02: This traditional lantern is manufactured of solid, anti-corrosion die-cast aluminium and powder-coated with black varnish, iron mica, verdigris, black copper, golden bronze or RAL colors.The globes are available in opal white with a diameter of 300 mm or 400 mm. 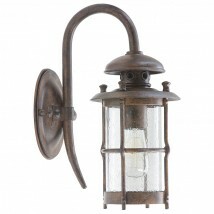 The lantern is available in four sizes. The body of this flat decorative wall lamp is made in Italy from stainless steel. This historical wall mount light with wrought iron bracket by Atelier Lumin'Art, France, is available in various finishes and three sizes. This exquisite traditional sconce for exterior use is made of high-quality copper or brass and is available in various finishes. This outdoor pillar lantern is available with one, three and four lampholders, made of aluminium or brass as well as in six different color varnishes. 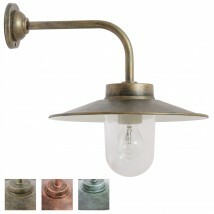 Classic Italian pendant lantern made of aged copper and brass with clear or opal glass, available in two sizes. 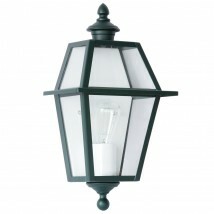 Historical Post Light Rondo P 71: These traditional lantern is manufactured of solid, anti-corrosion die-cast aluminium and powder-coated with black varnish, iron mica, verdigris, black copper, golden bronze or RAL colors. The lantern is available in different sizes. This small oval outdoor light with holophane glass is available in various brass finishes and ideal for balconies, patios and entrance areas. 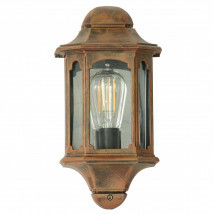 Country-house wall light Bremen patinated copper: this versatile outdoor fixture is available in aged copper, raw copper and copper with matt or high-gloss finish. Alternative brackets on request. This exquisite French art deco wall light is made of brass or copper, available in various finishes. Historical Schinkel pendant lantern 70.71Z: this hexagonal ceiling lantern with clear glass and crowned arcade is manufactured with solid, corrosion-resistant die-cast aluminium. Available in two sizes. This classic industrial design pending light Berlin by German manufacturer Bolichwerke is made of aluminium and available in various finishes. Classic handmade pendant lantern Vaucresson 112: vintage brass or zinc suspension light made in France. This model by Atelier Lumin'Art is available in two sizes and as wall lantern. 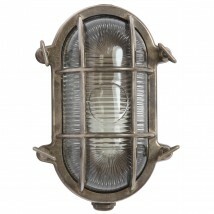 This traditional, nautical outdoor wall light with antika glass takes up to 100 watt. 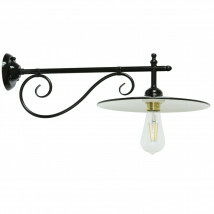 Casted bronze downlight Straal from Belgium: handmade Flemish outdoor light made of solid bronze or brass. 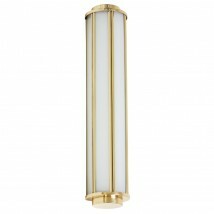 It is available in the finishes darked bronze, polished brass, nickel and polished nickel. 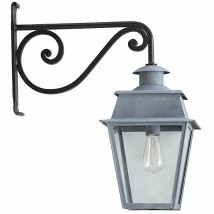 This Mediterranean wall light for outdoor use is made by our Italian manufacturer Auraluce at their factory in Tuscany. 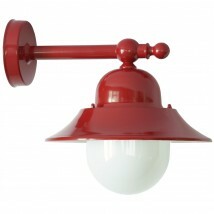 The light is based on historical designs and is available in ten different colors. 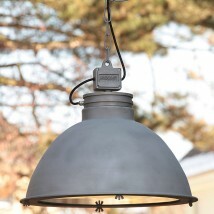 This large Industrial-style aluminum pendant light ORE is powder-coated aluminium-grey and is enclosed with a satin glass. The glass can be removed by opening four wing nuts. The timeless garden light cuts a fine figure in any environment and is particularly suitable for installation on a stone base, bollard or wall in the garden, on the terrace and in the driveway. The high-quality and durable PMMA globe (Ø 250mm, 300mm or 400mm) sits in a short base made of corrosion-resistant cast aluminum. 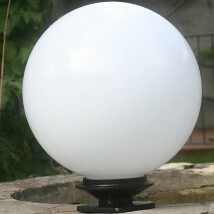 The base of the garden lamp is available in black, in antique colors and in RAL colors. This classic outdoor table pendant light with hemispherical shade and porcelain lampholder is available with five reflector sizes.